Chinese New Year, also known as the Lunar New Year or the Spring Festival, is the most important among the traditional Chinese festivals. 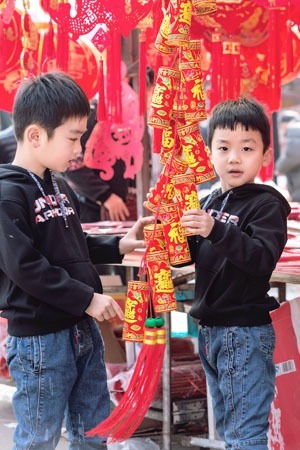 The origin of the Chinese New Year festival can be traced back to about 3,500 years ago. 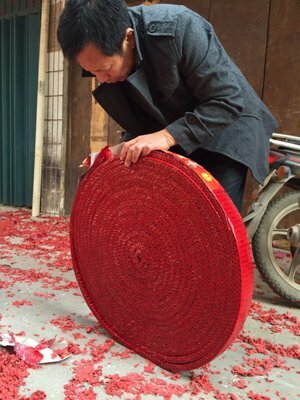 Chinese New Year has evolved over a long period of time and its customs have undergone a long development process. 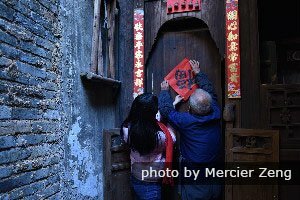 To prevent Nian from attacking people and causing destruction, people put food at their doors for Nian. It&apos;s said that a wise old man figured out that Nian was scared of loud noises (firecrackers) and the color red. 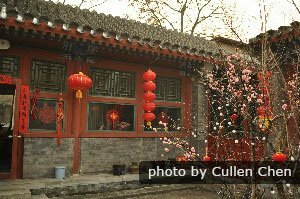 So, then people put red lanterns and red scrolls on their windows and doors to stop Nian from coming inside. Crackling bamboo (later replaced by firecrackers) was lit to scare Nian away. Click to learn more legends about Chinese New Year. 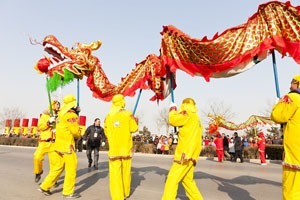 Chinese New Year has enjoyed a history of about 3,500 years. Its exact beginning is not recorded. Some people believe that Chinese New Year originated in the Shang Dynasty (1600–1046 BC), when people held sacrificial ceremonies in honor of gods and ancestors at the beginning or the end of each year. Houses are decorated with red couplets and paintings. The term Nian (&apos;year&apos;) first appeared in the Zhou Dynasty (1046–256 BC). It had become a custom to offer sacrifices to ancestors or gods, and to worship nature in order to bless harvests at the turn of the year. The date of the festival, the first day of the first month in the Chinese lunar calendar, was fixed in the Han Dynasty (202 BC – 220 AD). Certain celebration activities became popular, such as burning bamboo to make a loud cracking sound. In the Wei and Jin dynasties (220–420), apart from worshiping gods and ancestors, people began to entertain themselves. The customs of a family getting together to clean their house, having a dinner, and staying up late on New Year’s Eve originated among common people. The prosperity of economies and cultures during the Tang, Song, and Qing dynasties accelerated the development of the Spring Festival. The customs during the festival became similar to those of modern times. Setting off firecrackers, visiting relatives and friends, and eating dumplings became important parts of the celebration. More entertaining activities arose, such as watching dragon and lion dances during the Temple Fair and enjoying lantern shows. The function of the Spring Festival changed from a religious one to entertaining and social ones, more like that of today. 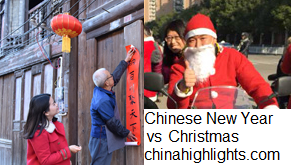 In 1912, the government decided to abolish Chinese New Year and the lunar calendar, but adopted the Gregorian calendar instead and made January 1 the official start of the new year. After 1949, Chinese New Year was renamed to the Spring Festival. It was listed as a nationwide public holiday. Nowadays, many traditional activities are disappearing but new trends have been generated. 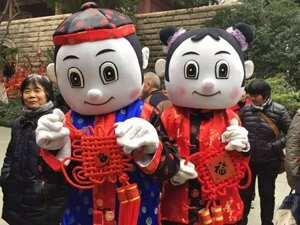 CCTV (China Central Television) Spring Festival Gala, shopping online, WeChat red envelopes, and overseas travel make Chinese New Year more interesting and colorful.